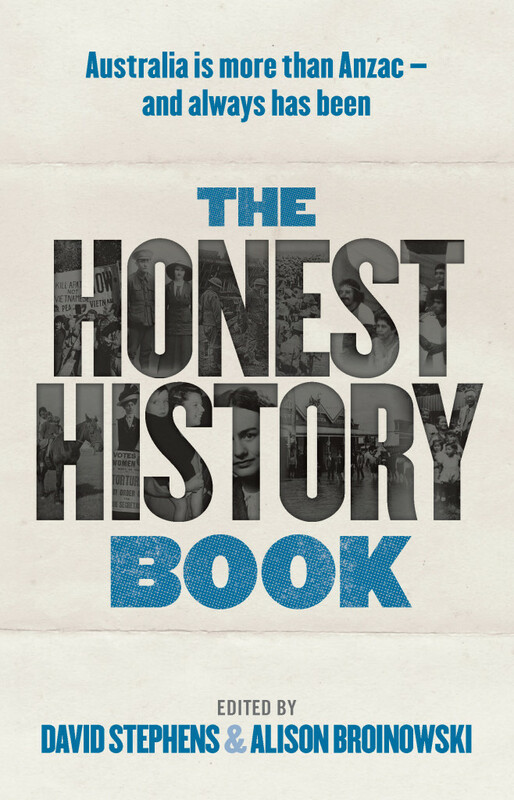 The Honest History Book was published seven months ago and is still doing very well, thank you. There have been lots of reviews and comments (follow the link above) and here are some more. French-Australian historian, Romain Fathi, now at Flinders University, South Australia, has a review coming out in the December edition of History Australia (review title: ‘Anzackery. It’s what the bogans want’) and it was so popular the allocated 50 free access to the pre-print version ran out within 10 days. We can assure you it was a favourable review but you will have to confirm this by getting behind the Taylor and Francis pay-wall (if you can). The Honest History Book bravely rewrites those [Anzac-centric, war-heavy] histories, and in doing so proves that if we are bold enough to look at more facets of our past, this country is much more interesting than you would assume from just focusing on the slightly boring and one-dimensional Anzac legend alone … So the more voices we are willing to hear, the more “dissenting views” we welcome, the bigger Australia becomes. This book is an important step in that process. Completing the trifecta, although not strictly providing a review of the book, is Professor Paul Pickering from the Australian National University, who was asked when spending a year at the Sorbonne in Paris to write something on the state of the history discipline in Australia. His response (‘L’histoire “honnête” de l’Australie ?’) was published in Revue d’histoire du XIXe siècle earlier this year translated into French. I really hope … that The Honest History Book reaches the audience it deserves and establishes a much needed balance through a judicious application of critical history. But I doubt it: the backpackers [travelling to Gallipoli] will continue to write their own honest history by voting with their feet. It is a challenging, engaging, at times fist pumpingly “you have nailed what is so wrong with Australian politics and history” sort of book. It also has moments when political spines will tingle and moral goose bumps will bump. Some chapters might begin to make you feel uncomfortable about being Australian, whatever that may mean … Suggested readership? Everyone. To not read this book would quite simply be “Un-Australian”. That sounds like the sort of book that might even get through to Professor Pickering’s Gallipoli backpackers.